Nobody trusts a phoney or a hypocrite. As representatives of Christ, we sully His name when we live hypocritically. We’re called to a higher standard. Hypocrisy existed even in the early days of Christianity. 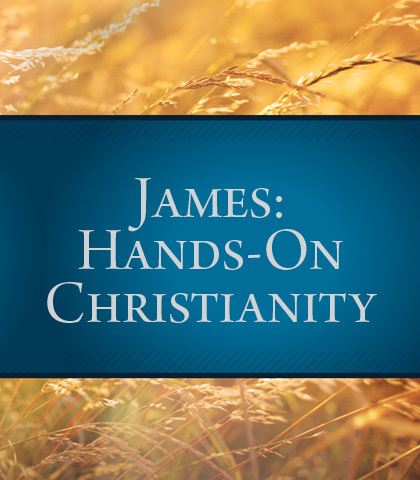 In the series James: Hands-On Christianity—A Signature Series, Chuck Swindoll encourages you to pursue authentic faith in God, provides you a clear and biblical how-to for authentic living as he exposits the book of James, and explains how to live without hypocrisy in your speech, actions, and relationships. As Christians, we know that we're supposed to avoid sin. But because Jesus has paid our penalty, there’s a tendency to treat sin rather lightly. Chuck Swindoll describes the dire consequences of giving in to temptation. Divorce is painful. It tears families apart and causes deep wounds. But in this message, Chuck Swindoll will describe a different kind of divorce…a separation that divides our own hearts. If we want to live out our faith, we need to align our hearts with Jesus' heart. Chuck Swindoll explains that there's no room for prejudice in Christlike love. Many people claim to be Christians…but say that their faith is a private thing and has no bearing on their day-to-day life. But the Bible leaves no room for this kind of faith. Chuck Swindoll describes why genuine belief is made obvious by the way we behave. Do you know that feeling when you've said the wrong thing and desperately want to take it back? Our words can be poisonous…and once spoke, they're impossible to erase. If God promised to give you anything you asked for…what would you choose? Chuck Swindoll explains why we ought to desire wisdom above anything else. In James 4:1-10, there is set forth the reasons for fights among believers as well as their tragic results. But James doesn't leave us without some answers on how to stop those conflicts that have taken their toll within our ranks. James deals directly with a common problem among Christians—“playing God.” Having just exposed our tendency to be self-assertive and quarrelsome, he goes a step further and shows a couple of the more familiar ways we assert an arrogant spirit. In this message, we shall hear what God says about and to a certain percentage of the wealthy—at least, the wealthy of the first century. Then we'll consider how it relates to the wealthy of today. The basis of our thoughts will be James 5:1-6.